Teacher accountability has been a major strategy for “fixing” education for the last 2 decades. 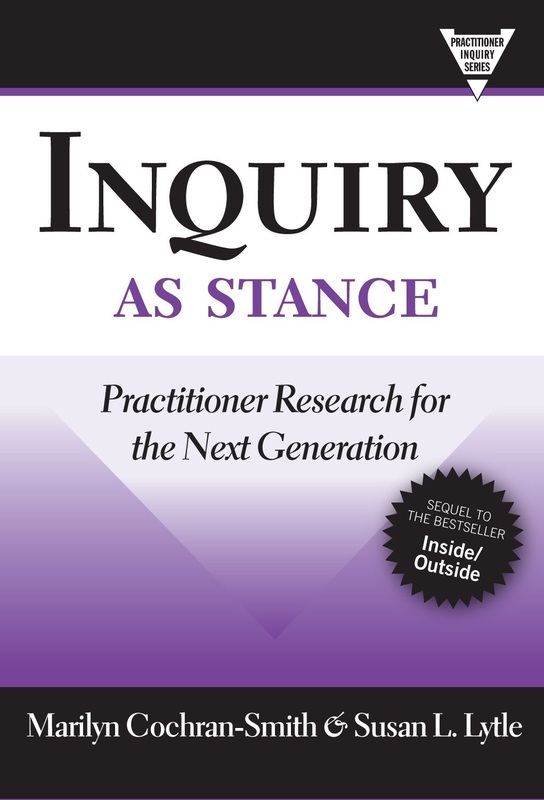 In this book, Cochran-Smith and her research team argue that it is time for teacher educators to reclaim accountability by adopting a new approach that features intelligent professional responsibility, challenges the structures and processes that reproduce inequity, and sustains multi-layered collaboration with diverse communities. 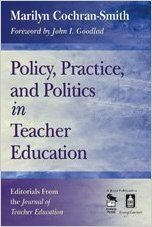 The authors analyze and critique major accountability initiatives, including Department of Education regulations, CAEP accreditation procedures, NCTQ teacher preparation reviews, and edTPA, and expose the lack of evidence behind these policies, as well as the negative impact they are having on teacher education. However, the book does not conclude that accountability is the wrong direction for the next generation of teacher education. Instead, the authors offer a clear and achievable vision of accountability for teacher education based on a commitment to equity and democracy. For purchasing information, please click ﻿here. 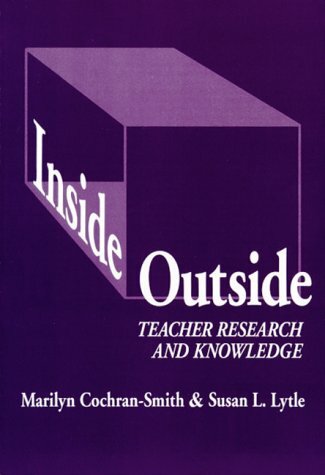 In this sequel to Inside/Outside: Teacher Research and Knowledge, two leaders in the field of practitioner research offer a radically different view of the relationship of knowledge and practice and of the role of practitioners in educational change. For purchasing information, please click ﻿here. 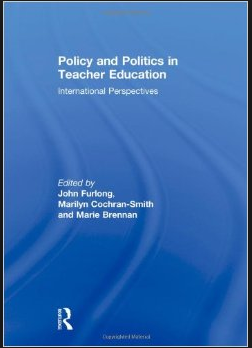 This volume grew out of a recognition by the Editors of the growing significance of teacher education policy and a curiosity about international trends and differences. The book brings together nine papers from leading academics around the world. Taken together, the papers reveal the complexities and contradictions of international trends. For purchasing information, please click here. Reflecting on the needs of educators today, the Third Edition of the Handbook of Research on Teacher Education stimulates a broad conversation about foundational issues, brings multiple perspectives to bear, provides new specificity to topics that have been undifferentiated in the past, and includes diverse voices in the conversation. For purchasing information, please click here. This powerful text organizes Marilyn Cochran-Smith’s influential essays from the Journal of Teacher Education into one concise guide to teacher preparation at its best. For purchasing information, please click here. This landmark volume presents the work of the American Educational Research Association's Panel on Research and Teacher Education. It represents a systematic effort to apply a common set of scholarly lenses to a range of important topics in teacher education. For purchasing information, please click here. 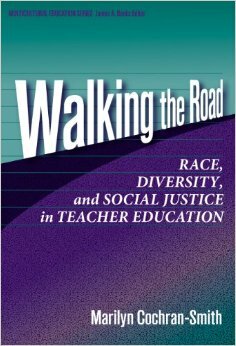 In this skillfully written and incisive book, Marilyn Cochran-Smith guides the reader through the conflicting visions and ideologies surrounding educating teachers in a diverse democratic society. For purchasing information, please click here. This text focuses on the assumption that pedagogical knowledge is generated "outside-in"; that is, from the university, to be applied at schools. 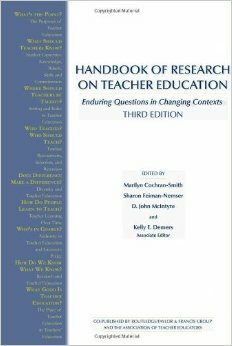 The first half of this book provides a thoughtful conceptual framework for reading and understanding teacher research, exploring its history, potential and relationship to university-based research. In the second half, the voices of teacher researchers contrast, engage, and combine with one another as contributors explore the meaning and significance of their approaches and findings. For purchasing information, please click here. 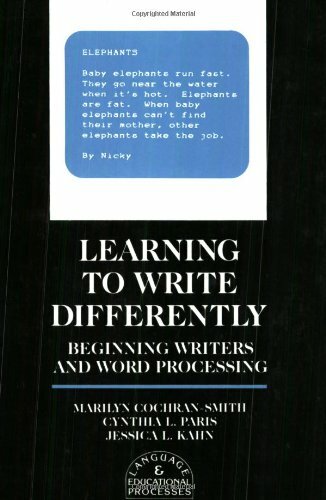 This volume explores in detail the ways that working with word processing interacts with the social processes of classrooms to shape participants' theories and practices of writing. It offers an expanded image of the ways teachers construct writing curricula that includes word processing, and reveals an interactive, long-term relationship between the writing contexts teachers and children construct and the capacities and requirements of writing tools. For purchasing information, please click here. 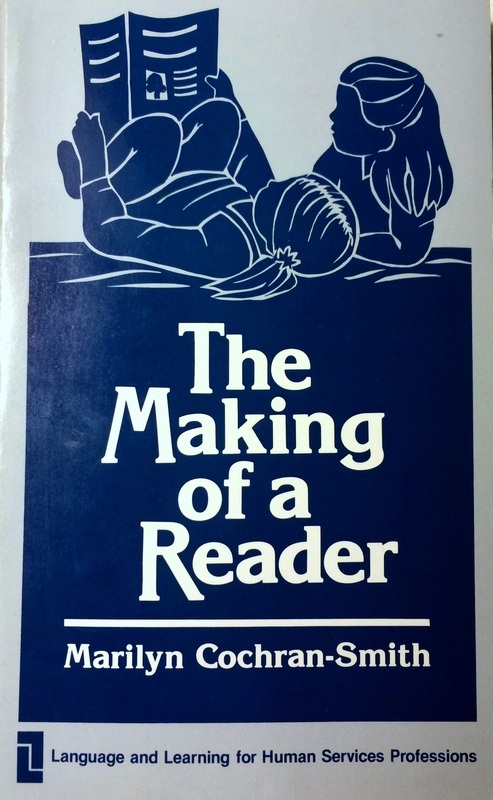 This volume, based on an 18-month ethnographic study of story reading and other literacy events in nursery school, describes parents' attitudes, beliefs, and values about literacy, nursery school organization of time and space, how reading and writing is used by nursery school participants and how story reading events help children learn to make sense of books and use books to learn about the world. For purchasing information, please click here.